We are situated in an old school in Bootle, North Liverpool and commenced brewing in 2013. 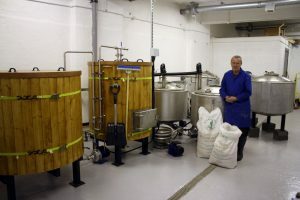 We are a small micro brewery, producing a maximum of 4.5 barrels (36 gallons) per brewing session. Currently we share our brewery site with our good friends at Flagship Brewery. At present we produce a wide range of beers from Pale Ales, IPA’s, traditional bitters and porters, selling to all over the UK. Check out our selection of ales here. We mainly sell cask ales but have recently started selling Private Label and Own Branded beers in bottles. Check out our page here.